Finally, the written exam of West Bengal Primary Teachers Eligibility Test (TET) 2015 is over. The exam was earlier scheduled on 31st August. But, after the leakage of TET question paper, the exam was cancelled and hence re-scheduled on 11th October, 2015. It was a big challenge for the administration to conduct the exam properly. And it was fortunately successfully arranged. How was your today's Primary TET Exam? So friends, how was your today's TET exam? How many questions have you attempted? Share with us. Also post your experience and review here. Post in the comments box given below. 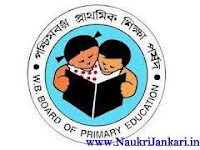 0 comments for " How was your today's WB Primary TET Exam (11.10.2015) "